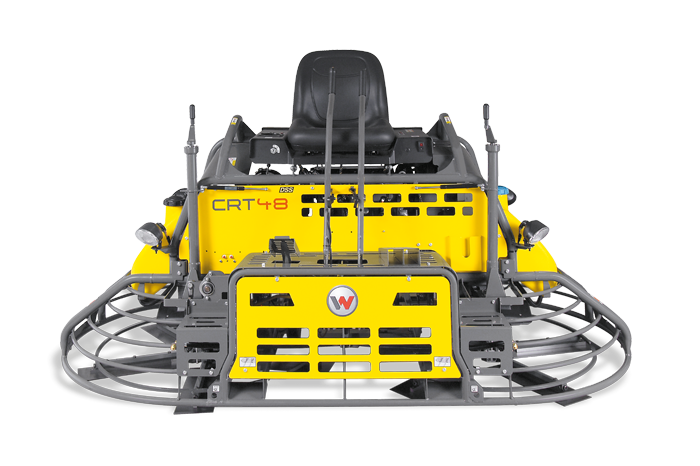 The 48-inch, CRT 48 trowel range delivers the best results with maximum productivity. The distinguishing feature is a superior steering system that is easy to operate and reduces operator fatigue. In addition, the rigid frame ensures excellent steering control. Combined with the ergonomic 2-lever controls it achieves optimum maneuverability. Highest blade speeds in mechanical drive ride-on trowel lass offers higher productivity and better finishes. Optimum maneuverability due to its balanced power-to-weight ratio and ergonomic twin lever controls. Variable clutch offers proper torque and speed range to match concrete conditions without mechanical adjustments. 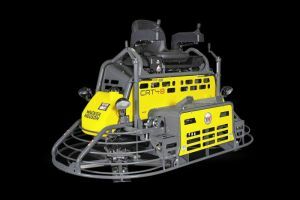 Dual Fuel model offers gasoline/LPG configuration for applications where alternative fuel is preferred or required. Operator can easily toggle between gasoline and LP during operation or use either fuel exclusively. 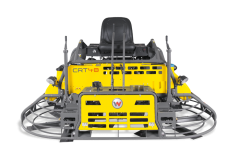 Multiquip introduces the MQ Whiteman HHNG5 mechanical ride-on power trowel.The HHN is powered by a 35 HP Briggs and Stratton Vanguard Air Cooled V-Twin Big Block engine that includes several new features that raise the performance bar. 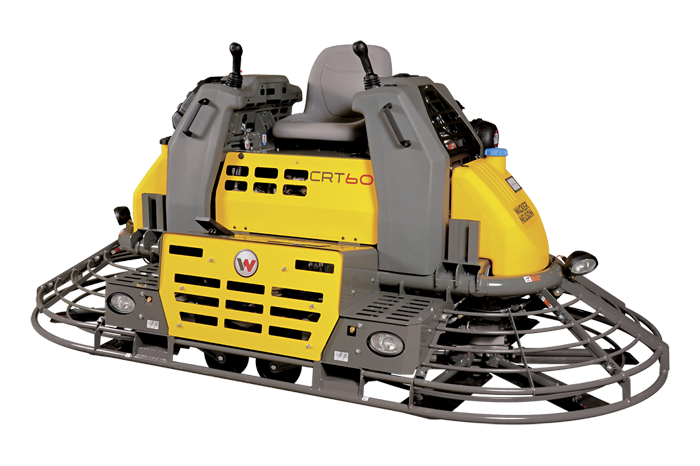 The innovative technology of the ride-on trowel CRT60 features an intelligent combination of a hydraulic drive with an electro-hydraulic steering system. The hydraulic drive regulates the engine speed in a way that resembles an automatic transmission of a car. A computer controller constantly monitors the engine speed and adjusts the hydraulic load at the same time. 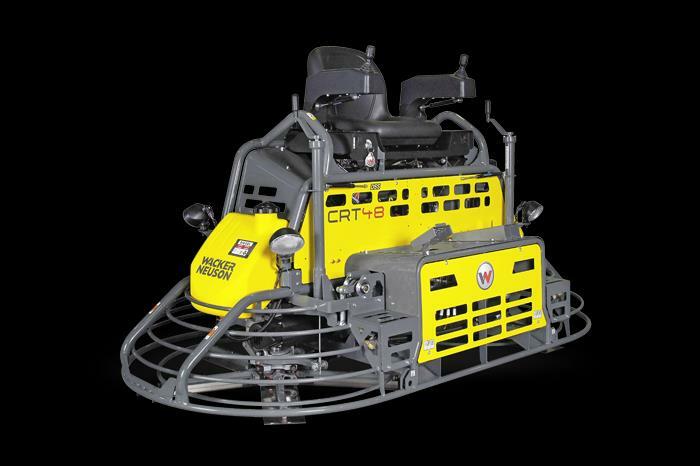 The electro-hydraulic steering concept with two joysticks enables accurate maneuvering and virtually fatigue-free working. Another hydraulic highlight: The built-in hydraulic wheel kit makes it possible to change float pans or blades easily without the need of a crane or fork lift. In stock in Orlando, FL. Limited Availability. 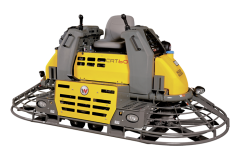 With a span of ten feet, Multiquip’s Whiteman STXD6i provides maximum coverage while enabling you to produce floors with consistently superior levels of flatness. Twin six-blade rotors are driven by a powerful 55-HP* Yanmar turbo diesel engine chosen for its ability to withstand the tough concrete finishing environment. SmartPitch control allows operator to synchronize the pitch of both rotors with the simple touch of a button.